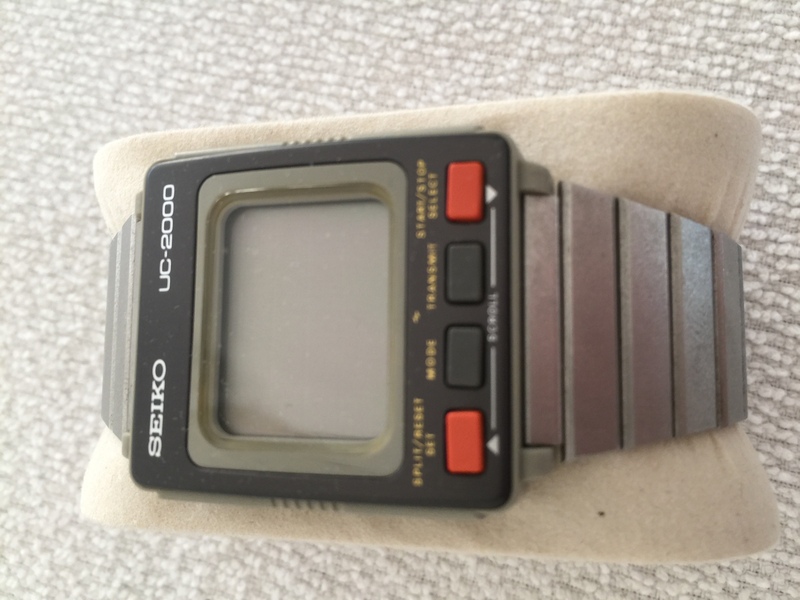 This was Seiko’s attempt from 1984 to produce a portable computer way before the present era with smart watches. The only things you actually could do was to tell the time, insert a couple of kilobytes of text and use the built-in simple calculator on a 4×10 Dot Matrix LCD display. 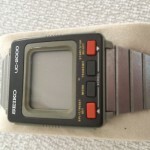 This copy is NOS and comes with the docking station (Seiko UC-2100) which was sold separately and used to control the device. Not shown on picture but includes docking function and a pocket sized keyboard where you could enter your text in a more convenient way.